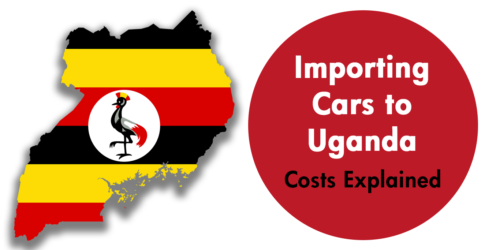 Trying to understand the costs and regulations of importing a car to Kenya can land one in a quagmire. However, the regulations and the charges are in fact very clear. 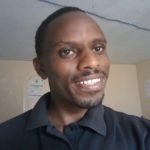 Here, we shall look at the procedure set out by the Kenya Revenue Authority, the government agency that is entitled with the duty of revenue collection in Kenya. As a developing nation, Kenya is a ripe market for used vehicles, especially from Japanese makes. Therefore, we shall explore the most important aspects of how to import used vehicles to Kenya from Japan. What is the Maximum Age for a Used Vehicle? How Can I Clear My Vehicle? Not more than 8 years old. The law is very strict about this, according to the Kenya Bureau of Standards KS 1515:2000. For example, for the year 2012, only vehicles manufactured in or after 2005 were allowed. As this may change from year to year, it is best to refer to the official website to stay up to date. There is one port of entry for imported vehicles from Japan, Singapore, Dubai and elsewhere – the Port of Mombasa. This is where ships offload their cargo, and accredited agents are necessary to perform the clearance. A look at the Kenya Revenue Authority website will give you a constantly updated list of clearing agents. The agent will check through the documentation of the vehicle electronically on behalf of the importer. You will have to pay an import declaration fee (IDF) of approximately Ksh 5000/= or 2.25%, whichever is higher, of the CIF (cost, insurance and freight) value paid on the vehicle. Due to exchange rates constantly rising and fluctuating, be sure to check current data for accurate calculations. 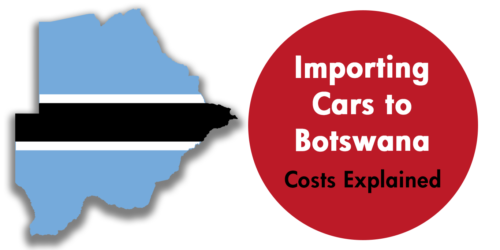 Customs will then calculate the custom rates applicable depending on the value of the vehicle. Apart from the import declaration fee paid before or during clearance, there are other additional duty costs. It is important that one know them all as listed here. 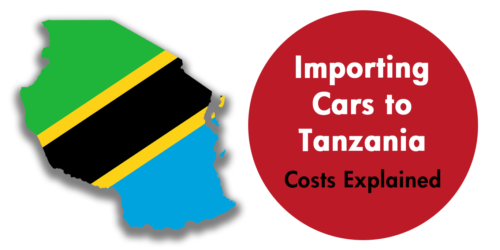 Importing a car to Kenya, considering that this country’s minimal exports are far outbalanced by imports, is expensive, but there is no better option. Even before you know the costs, you need to understand the terms used, just so you know what you are paying for. CIF – the cost of the car in its country of origin, the insurance, and the freight charge, all combined. IDF – is the Import Declaration Fee. On this, a minimum amount of $5000 or 2.25 of the CIF value is paid. This depends on whatever amount is higher. Sometimes, the CIF could also be calculated from the Current Retail Selling Price (CRSP) of the vehicle. From here, all costs are now calculated based on the Current Retail Selling Price (CRSP) of the vehicle of the same or the similar models currently on the market. To explain briefly about the CRSP, this is calculated on the value of the same or similar vehicle in the showroom, minus the profit margin, and then calculated back to the year of manufacture. The IDF is paid in advance, upon application. Note that there may be more charges if one hires a used car dealer to source and import the vehicle for them. Even if one sources their own vehicle, they may need assistance for the clearing, registration, and delivery. CFS, or Container Freighter Station, charges are also referred to as port charges. What the importer pays depends on the size of the vehicle. For example, an NZE Toyota sedan would cost Kshs 22,500 to Kshs 18,500. A Toyota Prado would cost more, such as up to Kshs 34,000. There are also shipping charges plus VAT that are payable to the shipping agents, which vary depending on the shipping agency you choose. Still feeling confused? Japanese used car exporters such as BE FORWARD offer local offices in Mombasa and Nairobi where staff can answer all of your questions before you decide to take the plunge and import your first used car to Kenya. BE FORWARD Review: Should You Use This Used Car Site? Toyota Alphard vs. Vellfire: An MPV Showdown! 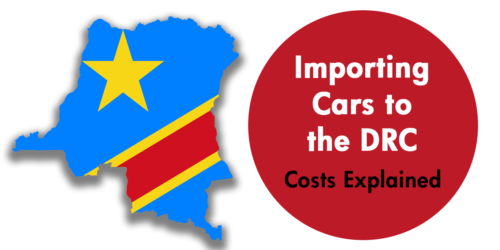 Importing a Used Car from Japan to Africa: What’s the Total Cost? 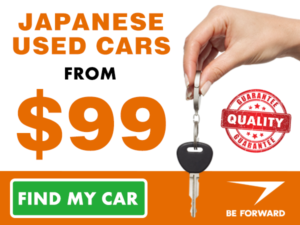 Looking for low-cost Japanese used cars?